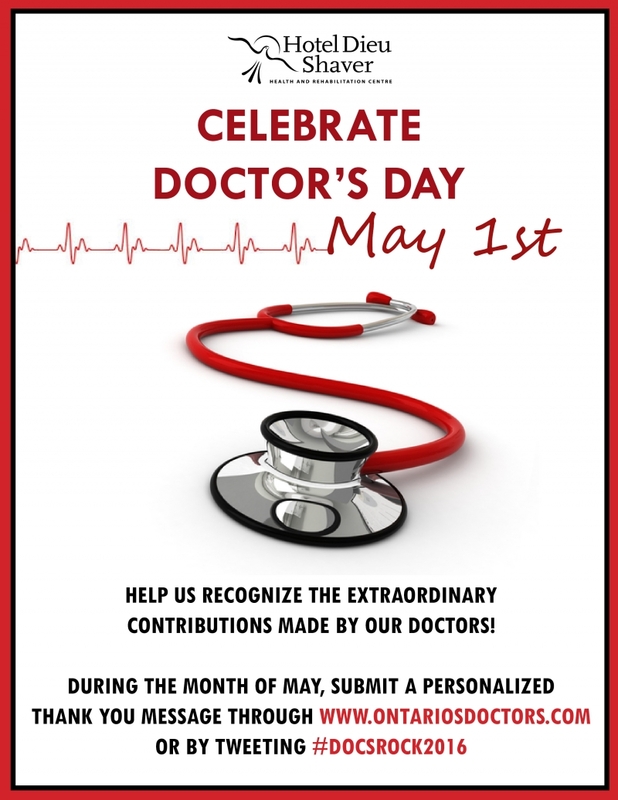 Help Us Celebrate Doctor's Day - May 1st! Every day, more than 320,000 patients across Ontario are treated and cared for by a doctor. In 2011, Doctors’ Day was recognized as the official day of appreciation for Ontario’s medical profession. The date of May 1st was chosen as Doctors’ Day to mark the birthday of Canada’s first female physician, Dr. Emily Stowe. Help us recognize the extraordinary contribution made by our doctors! During the month of May send a thank you message by tweeting @hoteldieushaver #DocsRock2016 or make a donation on behalf of one of our extraordinary doctors! Click here to donate!